No process—even a process six years in the making—is perfect. And while our collaborative list of the top ten games each year is the result of an equal effort from each of us, there are also bound to be casualties of the debate. That's where Honorable Mentions come in, serving as a sort of Home for Wayward and Misunderstood Games. Today, we'll take a look at Spencer's list of favorite games that didn't make the cut. South Park: The Stick of Truth was trapped in development hell for a couple years of its existence, as developers Obsidian Entertainment encountered budget shortfalls and original publisher THQ floundered and died. Thankfully, it finally saw release this year. As a game, it's a bit simplistic -- a turn-based RPG in the vein of Super Mario RPG, or the earlier part of Penny Arcade's Rain-Slick Precipice of Darkness series. However, for fans of South Park on television, there's nothing better. While previous game adaptations of the property have been pretty bad, The Stick of Truth plays out like an extended-length episode of the show -- it looks identical to its old-media counterpart, and the story was written and voiced by show creators Trey Parker and Matt Stone. The result is raunchy, stupid, and laugh-out-loud funny, as jokes are made at the expense of, well, just about everything the show has ever mocked. Basically, if your brain is damaged like mine and as a result you still genuinely enjoy South Park, play this game. Octodad: Dadliest Catch is probably the best game I've ever played about being an octopus pretending to be a man, attempting to avoid detection by the public as he takes his family out for their weekend chores. That might be a bit on the nose, but only because it doesn't really have any parallel that comes to mind. Some term it "High In Public Simulator," and that might be the closest anyone has gotten to classifying Octodad. Much like my other honorable mentions, Octodadis very, very silly. But rather than replicating established comedy, or being completely slapstick, the absurdity is what drives the humor. 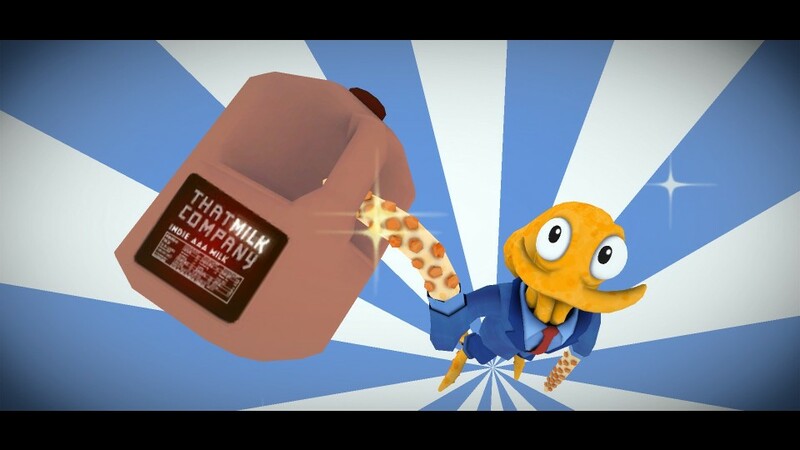 The act of an octopus, trying to make it in a saccharine, mildly unsettling version of the 1950s is crazy in its own right -- layer on the delightful frustration of trying to maneuver using tentacles for arms, and Octodad will have you muttering "what?" before giggling quietly to yourself. Goat Simulator is bewilderingly, unapologetically stupid. Bugs are touted as a feature of the game, the physics engine is entirely out of whack, and to top it off, you're literally running around as a goat. So why is it so fun? The closest I can really get to rationalizing it is that Goat Simulator is the gaming equivalent of Jackass. It's pure slapstick, and honestly, that's sometimes funnier than it has any business being. Actually, it's routinely funnier than it has any business being. Even in the few minutes I spent taking a screenshot for this article, I found myself snickering as my goat was dragged, by his tongue, along the tracks of a roller coaster (pictured above). There's no good reason for that to be funny, it just is. With the recently-released free DLC Goat MMO Simulator, you can even make fun of your World of Warcraft-playing friends while you lick your way through a crowd of bystanders. If that's your jam, anyway. It sure is mine. 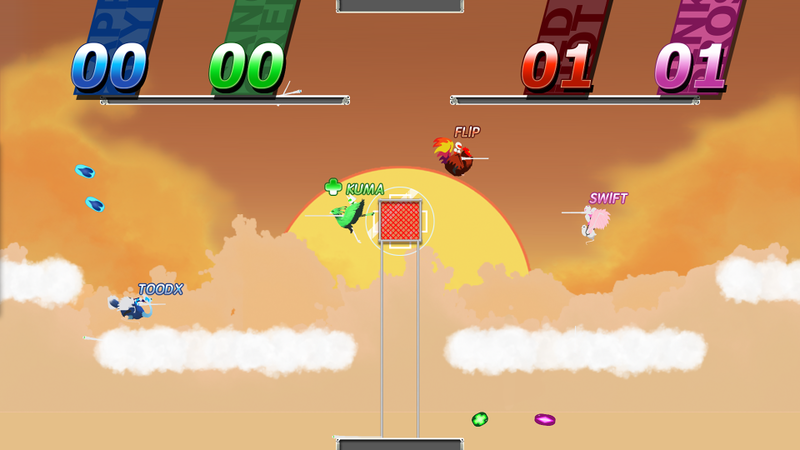 In a similar vein to Sportsfriends,Sportsball is ridiculous fun with a competitive feel, intended for four-person local multiplayer. Old-school, couch-bound giddiness is what both aspire to, with downright magical results. Beyond that, though, the similarities cease. Sportsball is part Joust, part basketball, with a dash of Friday Night Lights thrown in for good measure. Four birds enter, and, well, all hell breaks loose from there. And in case you have a fifth player awaiting their turn, they can use the microphone on the Wii U GamePad to provide live commentary. Yes, it's every bit as weird as it sounds. Enjoy.